According to the United States Census Bureau, the city had a total area of 26.107 square miles (67.617 km²), including 24.187 square miles (62.644 km²) of land and 1.920 square miles (4.973 km²) of water (7.35% was water). 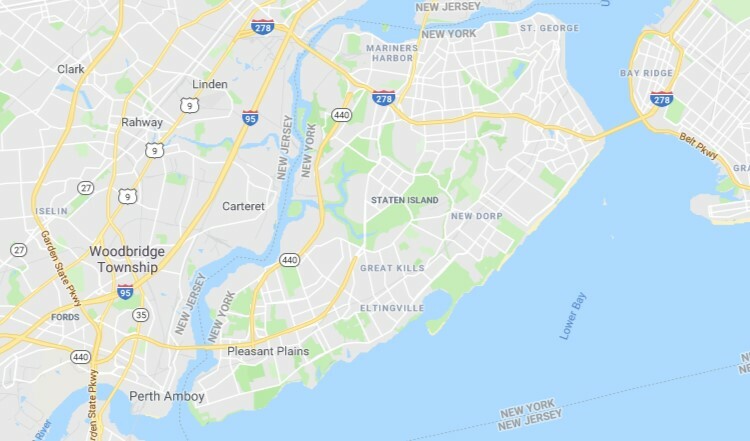 It has the third-smallest land area among the 100 most populous cities in the U.S., behind neighboring Jersey City and Hialeah, Florida. The city's altitude ranges from 0 (sea level) in the east to approximately 230 feet (70 m) above sea level in the western section of the city. Newark is essentially a large basin sloping towards the Passaic River, with a few valleys formed by meandering streams. Historically, Newark's high places have been its wealthier neighborhoods. In the 19th century and early 20th century, the wealthy congregated on the ridges of Forest Hill, High Street, and Weequahic. The city had a population of 277,140 as of the 2010 Census, retaining its position as the largest city in the state and making it the nation's 67th-most populous municipality. After reaching a peak of 442,337 residents counted in the 1930 Census, the city's population saw a decline of nearly 40% as residents moved to surrounding suburbs, with the increase in 2010 of 3,594 (+1.3%) from the 273,546 counted in the 2000 Census marking the second census in 70 years in which the city's population had grown from the previous enumeration.